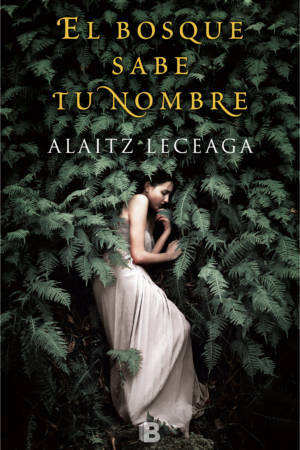 Alaitz Leceaga (Bilbao, 1982) is a great enthusiast of mystery, thrillers and women’s fiction. Between 2008 and 2011 she wrote and published several short stories in Spanish and English in different internet portals which have had over 60.000 views and hundreds of favourable commentaries. With El bosque sabe tu nombre acclaimed as the debut novel of the year, she hit the bestselling lists in one month after publication. The audiovisual rights to the novel have been immediately optioned by a Spanish producer Nostromo Pictures for a TV series. Alaitz Leceaga signs copies of “El bosque sabe tu nombre” in Eroski Bilbao. A Spanish bestseller, since its publication on top 10 and acclaimed as a literary debut of the year is gathering new readers in Italy. Alaitz Leceaga, El bosque sabe tu nombre. In Spagna, la scrittrice basca Alaitz Leceaga, autrice di numerosi racconti di successo pubblicati su Internet, esce col secondo romanzo El bosque sabe tu nombre (10°), in libreria in questi giorni in Italia per Garzanti col titolo Il bosco ricorda il tuo nome. Il bosco ricorda il tuo nome di Alaitz Leceaga SUBITO IN VETTA ALLE CLASSIFICHE SPAGNOLE. Il bosco ricorda il tuo nome di Alaitz leceaga, un piccolo gioiellino in arrivo per Garzanti.